Most students are able to transfer all of their general education courses from regionally accredited institutions. Major-specific credit transfers are determined by individual departments at Washburn. Contact a transfer counselor or email transferinfo@washburn.edu to learn more. Check out our extensive list of courses frequently transferred (transfer guide) to Washburn. This list is not comprehensive, it lists courses that are frequently transferred. Courses not included in the transfer guide might still transfer to Washburn. If the course shows a Washburn equivalent with a course number of 1XX, 2XX, 3XX or 4XX then the course is counted as an elective. Some courses with a specific Washburn equivalent course will also only count as an elective, depending upon your program at Washburn University. Use our self-service option. It is recommended you have your transcripts in front of you when using it. Courses not listed might still transfer to Washburn. To be considered official, transcripts must arrive at Washburn via the United States Postal Service from the institution that issues them. Washburn accepts official electronic transcripts at etranscripts@washburn.edu. Faxed transcripts are not considered official. 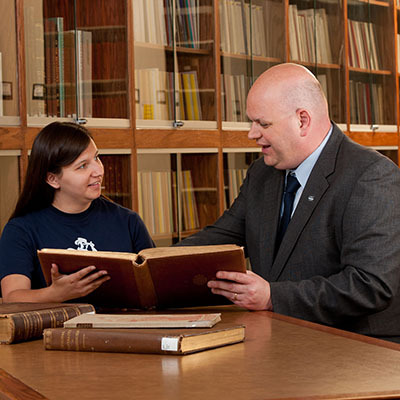 If you have completed a bachelor's degree at another regional accredited institutions of higher education then you do not have to meet Washburn’s general education requirements. You will, however, be required to meet degree requirements that are specific to certain bachelor's and associate degrees, including required courses in correlated areas associated with an academic major. If you are transferring to Washburn University or another Kansas public university with at least 45 transfer credit hours (at least 15 from one institution) from a Kansas public community college or technical college (or vice versa) you are eligible for the Kansas Board of Regents Reverse Transfer program. This allows you to earn any associate's degree for which you’re eligible as you earn additional certificates and degrees. Within your first semester at Washburn, you will be notified if you meet the eligibility criteria and which classes you will need to complete to finish the degree. Upon completion of the coursework, Washburn will send a Washburn transcript to the college or university you are eligible for the program through, and the degree will be awarded. Visit the Kansas Board of Regents Transfer & Articulation website for more information. A growing list of courses have been guaranteed to transfer among all Kansas higher education institutions through the Kansas Board of Regents. The major department makes the determination regarding whether your transfer courses can be used to satisfy major requirements. You can review the extensive list of courses which have already been approved by the major department. Only those courses which do not appear on the list need to be evaluated by the department. Courses completed at a college or university (excluding technical colleges) accredited by one of the six regional accrediting organizations which have been designated by the sending institution as general education courses will transfer to Washburn University as courses within the appropriate general education distribution area without further review. If you have completed a technical certificate from a college accredited by one of the six regional accrediting organizations, you may transfer up to 48 credit hours of earned technical certificate course credit to apply to degrees at Washburn University. Courses completed as a component of an earned associate’s degree beyond the technical program certificate requirements will be evaluated by the appropriate department at Washburn University and, based on that evaluation, may transfer to partially fulfill the core or general education requirements for Washburn programs. Please visit the International Programs website for details regarding transferring international coursework. You may appeal decisions about the transferability of major courses through the appropriate department chair. Be prepared to provide supporting documents, such as course syllabi, course descriptions, or examples of your work. The department chair’s decision is final. If you are transferring courses from a technical college or courses that were not considered general education from another higher education institution that you believe meet the spirit and intent of Washburn’s general education criteria, you may fill out a General Education Transfer Course Petition with your academic advisor. The form should then be submitted to the Associate Vice President for Academic Affairs, who will make a decision within 1 to 2 weeks of receiving all of the required information. You can appeal decisions on the transferability of general education courses through the General Education Committee, and the committee’s decisions can be appealed to the Vice President of Academic Affairs, whose decision will be final. Chose from a personalized visit, virtual tour or Ichabod Transfer Day!